In the new Destiny 2 Curse of Osiris expansion, earning Mercury Tokens is fairly essential, if you want to get your hands on some of the best new weapons and armor items that the DLC has to offer. In this Destiny 2 Mercury Tokens guide, we’ll be walking you through how to unlock Mercury Adventures, as well as other ways of earning the currency quickly. If you instead need anything else on the new Destiny 2 expansion, including how to access all the brand new content, as well as a guide to the new hub area on Mercury, head on over to our Curse of Osiris guides walkthrough hub. Earning Mercury Tokens in the Curse of Osiris expansion is crucial as we mentioned, because you obviously want to get your hands on the very best new Exotic items on offer. Aside from this, earning these new Tokens is actually no small feat. As soon as you arrive on the new planet of Mercury, you’ll immediately be able to undertake the new Public Event there (check out our Mercury Public Events guide for how to complete the new activity). But this takes well over 5 minutes to complete, and only rewards you with two Mercury Tokens for all your efforts. So how can you increase the rate at which you earn the Tokens? You’ll actually have to beat the final Omega mission of the Curse of Osiris expansion to unlock new Mercury Adventures from Brother Vance. 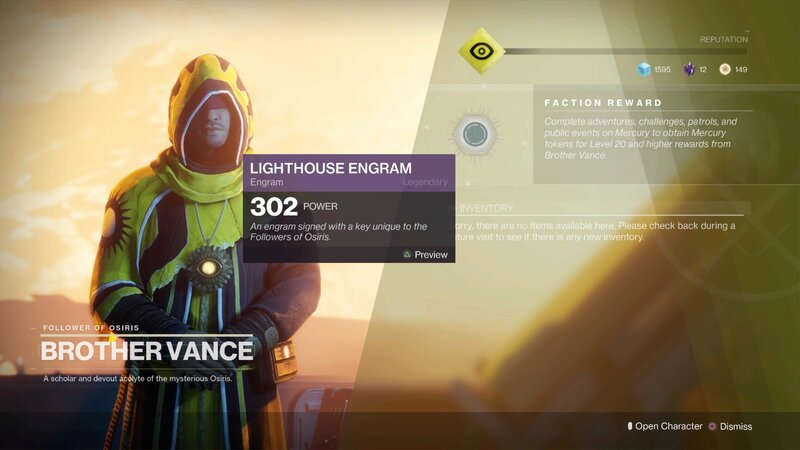 After you beat the Omega mission, go speak to Brother Vance to receive a Legendary item as a reward, and also to begin the ‘Up and Up’ Adventure mission. This mission takes you back once again to the Infinite Forest, but this time you’ll be facing off against some Cabal, along with a horde of Fallen troops. While these won’t prove a massive challenge to you, there’s a tricky platforming section near the end of the Up and Up Adventure. 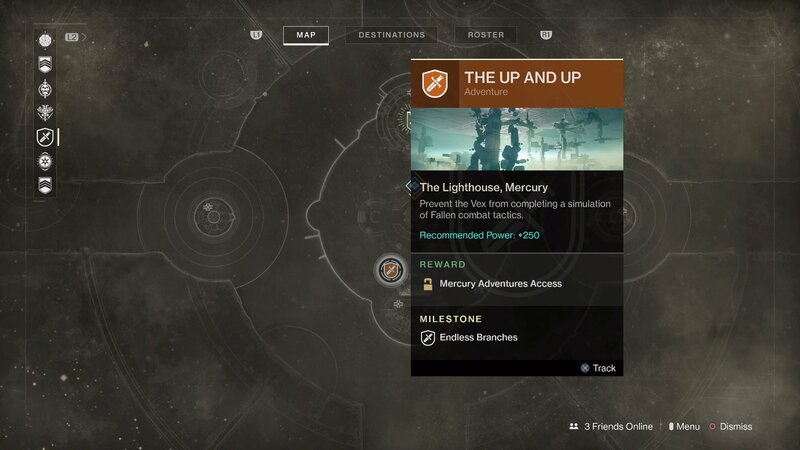 Once you’ve eventually completed the new Up and Up mission, which shouldn’t take too long, you’ll gain access to undertake additional Adventures on Mercury, all of which will reward you with Mercury Tokens. This is the fastest way that you can earn Mercury Tokens in Destiny 2. It might not seem like the most time effective way at first, but it’s a far quicker method than simply repeating the Public Event, which merely rewards you with two Mercury Tokens every time you complete it. Alternatively, there is actually an elusive object in the Curse of Osiris expansion, that can increase the rate at which you uncover Mercury Tokens. We're referring to the rare Sagira Exotic Shell, and if you want help on finding out how to uncover this mysterious Shell for yourself, head on over to our guide on how to find Sagira's Exotic Shell. This might be the end of our general guide on Mercury Tokens, but head on over to our A Garden World Strike guide, for a complete walkthrough of one of the new Strike missions to arrive with the Curse of Osiris expansion for Destiny 2.